Are drywalls fire resistant? Do we need fire resistant walls at our house? 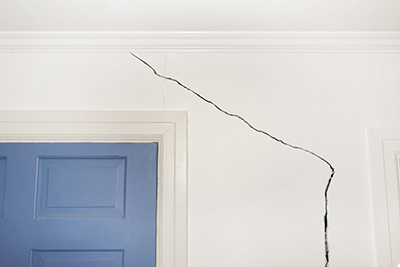 Well, if you think about it, most walls and ceilings of our homes are drywalls. So, we need to know that they can resist fire – at least up to a point. Accidents happen, especially in kitchens. The question is whether there are materials, which are actually fire proof and then again will they save us in an event of a fire? Let's discover what our drywalls are made of! They are actually made of gypsum compressed in between two layers of hard sheet. Simply put, gypsum is crushed and processed rock mixed with water. This makes drywalls fire resistant but NOT fire proof. In case of a fire, it will take a while until water evaporates and fire won't spread fast. They will resist fire for at least thirty minutes. Is this encouraging news? The truth is that there is not really a way to keep fire from spreading. The big question: install or not type X drywalls? We can delay the fire from spreading with type X drywall installation. It is also called “firecode”. It's thicker than normal drywalls but don't make the mistake to think that they are fire proof. They just retard fire spreading for thirty more minutes. This happens not just because it is thicker but also contains fiberglass, which delays the burning of the wall even more. The composition of glass fibers and gypsum is denser and so they form a very strong core. 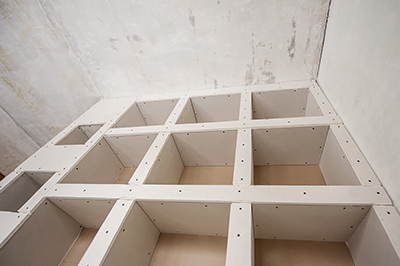 As it is expected, these types of drywalls are more expensive and so when people plan new Sheetrock installation, they hardly consider of investing in more resistant materials. Drywall prices will go up if you want to dress the whole house. But is this really necessary? Don't forget that we have many flammable things in the house including doors and carpets. Fire may not spread through walls but it will travel over other things and through doors. Though, if you want to avoid drywall removal due to fire damage in the kitchen, this would be the ideal room in the house where you can install type X drywalls. Garages and laundry rooms can also be dangerous places where fires start. So, it's best to consider hanging drywall ceilings and walls in certain rooms rather than the whole house. Such decision will save you money from investing in many firecode drywalls but it will also save you money from dealing with burned walls when kitchen accidents occur.